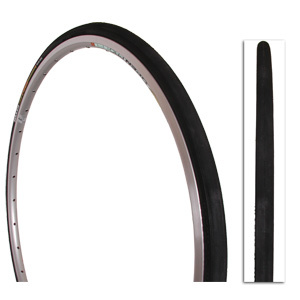 Our most popular training tire- providing excellent traction, durability and plenty of road miles in any condition. The Kevlar? 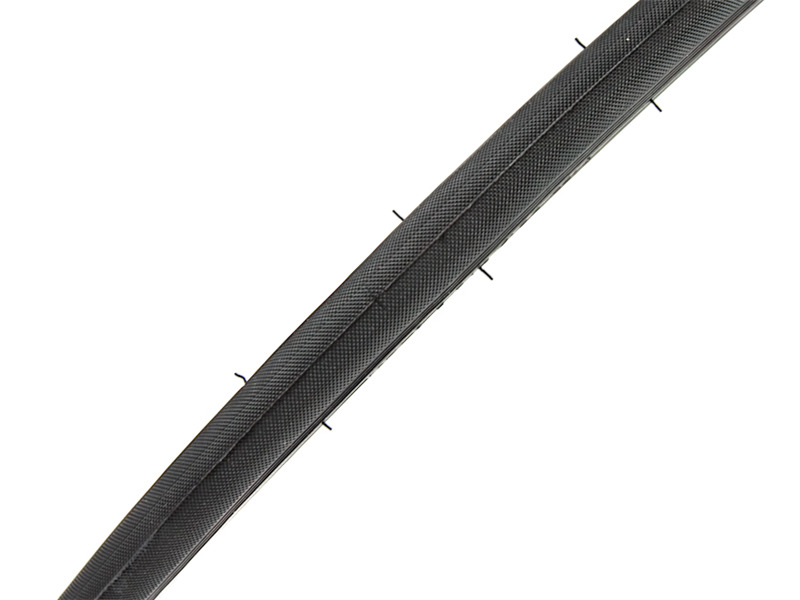 belt and silkworm cap ply combine to provide a tire that Re-Fuses to puncture. The wear resistance of the compound is good, grip is great but the tread has delaminated from the casing and it has broken off in chunks, leaving the casing bare, with no protection. Soon after I had my first puncture and it had to go. For road tyres, Continental is a no-brainer, as I learned after this experience. 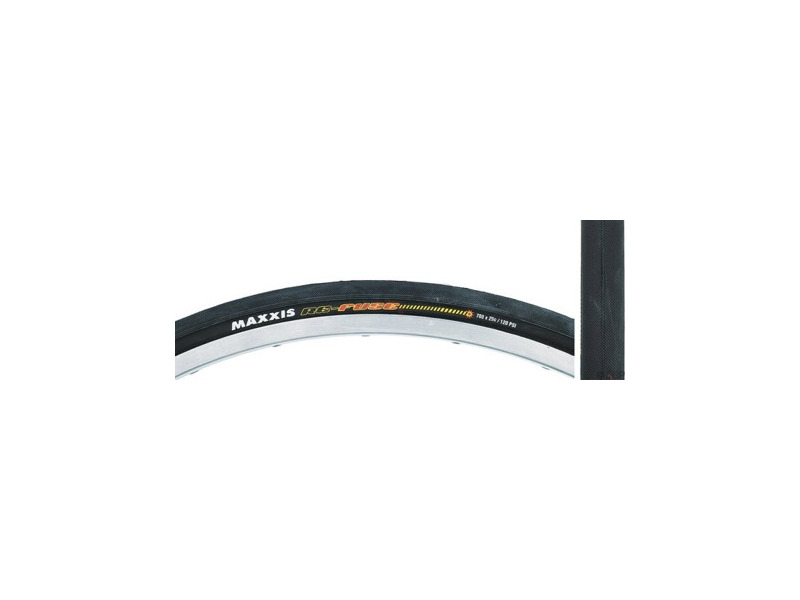 I have chosen Maxxis because of my good experience with their mountain tyres. Pinch flat pinch flat f#:;&_87 pinch flat!!!! Worst tire I've ever run. I don't know how these people get great mileage I can't make it one day commuting without a flat. I replaced cheap stockers on my fuji with these I only had one flat. Big staple went through. Those wore a spot through carcass I had so many miles on them. 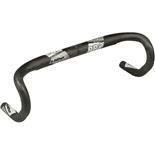 I have tried liners thicker tubes 60 psi to 120 psi. If I hit a seam in pavement right thing goes flat! No more thorns after liners now constant pinch flats. Today was it every five miles I had to patch tube. Than literally in my driveway it goes flat. I'm afraid to run over gravel twigs seams in pavement. It is awful now I hAve one brand new tire and one with maybe 100 miles that I am throwing out.f#!$ you maxxis! A little heavy, kind of hard to install first time around. Nice ride, good traction, good price. Excellent tire for the money. Great for everyday use, training, training. 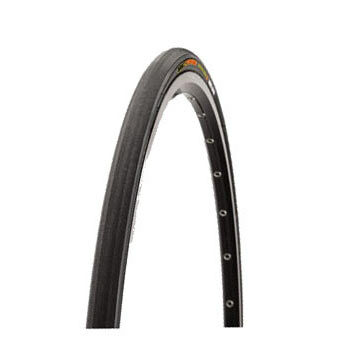 I was recommended these tyres for commuting and general cycling by my local shop a few years ago. I've had 3 sets now (2 in use and one waiting for their call up) and have to say they do exactly what you'd want for this type of riding. 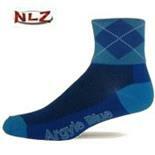 Under $50 a pair and you can get 7000+ trouble-free kms out of them. I've just had my first flat from my current set, after around 8000kms. It was the front tyre, which has got quite a few nicks form the glass & gravel that I have to negotiate, but have performed exceptionally up to now. I looked at the back and noticed that I've ridden it down to the inner lining..without a single problem...ok, so I probably need to change it. Best commuting tyre I've ridden in 35+ years. 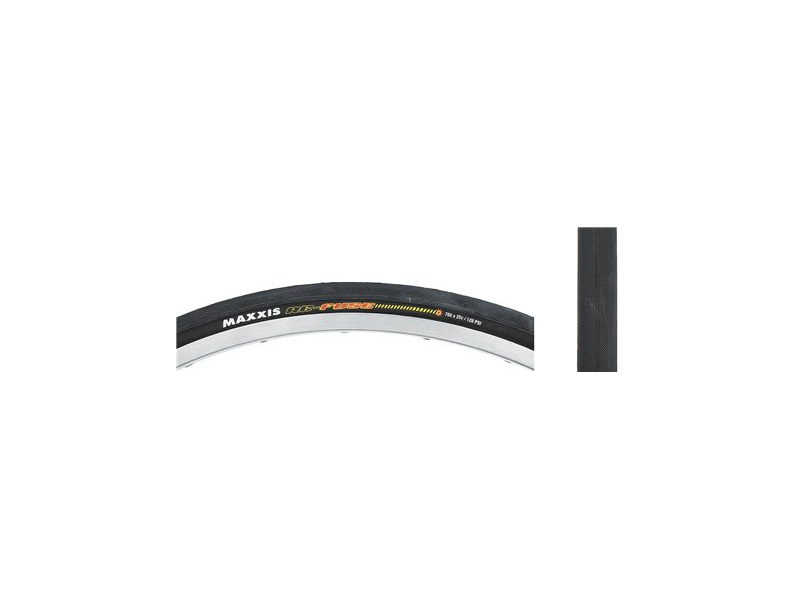 I won a set of Maxxis Refuse 700x23 tyres. I had heard good reviews about these tyres as they suit the rough country chip roads here in NZ. I am usually training 5-6 days a week. I have now had these on my training bike over a year now and only 1 small superficial cut and just starting to flatten out from wear. What I really like about them is that they are more comfortable than most tyres. I ride my tyres around 90-100 PSI as I am about 76-78 kg, Of course they would feel hard and uncomfortable if you had them up to 120psi as some reviewer stated. 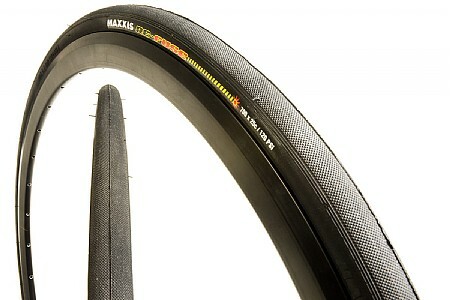 I have found them to be an exceptional training tyre, and you can also get 25's and 28mm sizes. 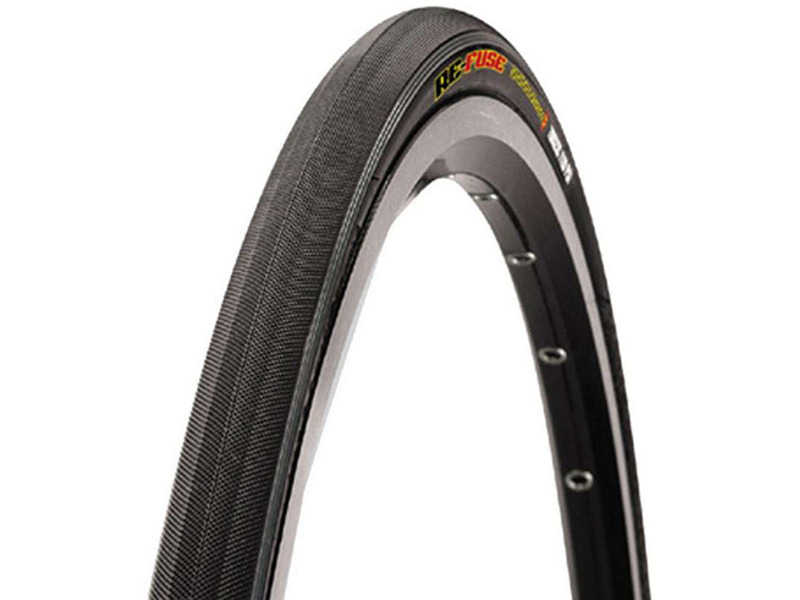 Interesting to note is that the road rider from You Tube (Durian rider) chose the 28mm version of these tyres to tour across the length of Austrailia on his racing bike said they were very comfortable. I have got a set of these 28mm on order and cant wait to try them out. Probaly should have got 25's but comfort is everything. Also they grip really well in the wet. Rougher ride than a Bontrager Hardcase, but I guess that's the trade off for a more durable tire? In my quest for a bulletproof puncture resistant road tire, I have finally seen the top of the mountain. 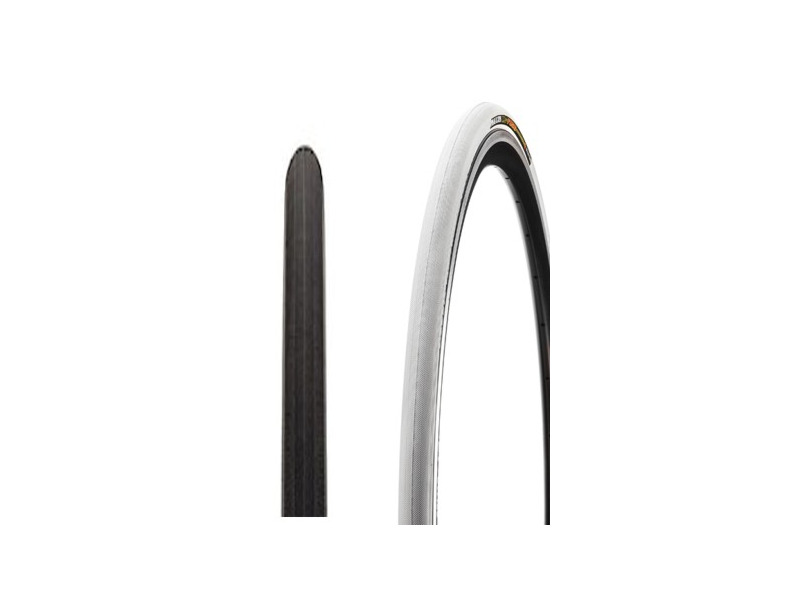 I went through a couple of sets of Bontrager Hardcase tires which would have visible cuts all over them after less than 1,000 miles, not to mention one with a bubble. I read good user reviews about the Maxxis Re-Fuse and decided to take the plunge. 2,000 miles so far, no flats, no visible cuts anywhere! And no, I did not change my riding style, nor the roads I ride on! The rolling resistance also seems lower than the Bontrager Hardcases but the road feel is harsher. I guess that's part of the tradeoff for a bulletproof reliable tire? Recommended! Hutchinson Top Speed - REAL JUNK!!! Tried a set of these tires after reading several glowing reviews on discussion groups. Rode 7000 km on the first set without a flat and have put 3000 km on the second set with no flats yet. Very good value as well. I don't race but ride about 3000-5000 miles a season and don't like changing flats so I don't mind going a tiny bit slower on these tires. I bought my tires on eBay from a store in Taiwan for $60 a pair with tax and shipping included and they arrived within a week of ordering. Roll slower than other better know (quality) tires e.g. Conti 4000 etc but Conti are almost twice as much ! Yes a little slower than most other tires out there but they are after all a training tire. And also good valve for your $ No punctures to date 500km and handle the wet / rough roads very well indeed. It's also a great feeling switching back to your racing wheels with better quality rubber - feels super fast. The rolling resistance of these tires are not as good. Usually, on my ride to work, there is a stretch of 2km straight road which I sprint on and this is when i noticed that if i freewheel, the tires tend to slow-down my speed. When i was on my Panaracer RibMo's, this slowing down feeling is 30% less... but i am still trying to find my 700 x 23c RibMo's. The ride on the Re-Fuse is also harsher as you can feel all the bumps on the road. I keep my Re-Fuse tire pressure to the maximum of 120psi as i want to avoid pinch flats which happens most to me. With the limitation of tire choices and sizes, i got the re-fuse as a test to see if it can handle the streets of Bangkok. I bought a pair of yellow 700 x 23c tires as it was difficult to find the 25c's. I commute to work about 20km everyday. I also have the Panaracer RibMo's but they are in 28c sizes which makes my bike looks like a monster bike.. so i only use them recreationally as a rear tire to handle my weight when exploring the city. I've tried Maxxis Detonators but had a flat the next day. Tried Kendas, had a flat the day i put them on! A great value & puncture proof tyre but a little dead feeling. I would go back to the Michelin krylion but these can't be beat for value.